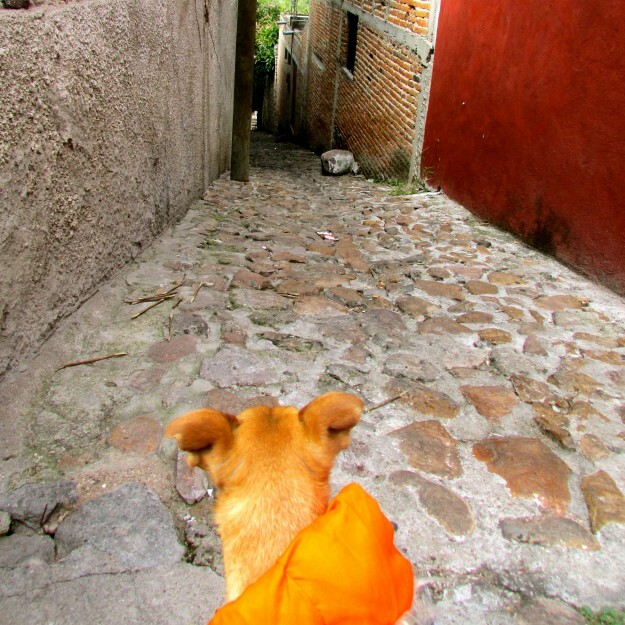 Me on one of our many walks around San Miguel de Allende. It was really cold, but luckily I had my puffer jacket to keep me warm! The morning we packed up to leave Guanajuato, Victoria was pretty sad. She even started crying. I don’t see her cry that often, but even before that happened I could smell that she was upset. Jason and Victoria were talking, and apparently someone Victoria loved had died. I had never heard this word before but apparently everyone and everything dies eventually, even dogs and people. From what I understand, when you die you go away. Forever. That means you never get to see the people you love ever again. I can’t imagine not ever seeing the people and dogs I love again. I have a ton of questions about this: Where do you go? Do you get to come back eventually? Am I going to die? I feel like if I was going to die at some point I’d know, so maybe I won’t? Do people know this and they just walk around everyday just not thinking about it? So many questions, and no good answers. Anyway, I gave Victoria some extra special snuggles and kisses, to help her feel better. I don’t think it really helped that much because she was still sad, but she did smile and we finally left the camper to meet our new friend Katie. Katie works with an organization called Do Good As You Go, and my family had planned to volunteer with them while in town. I guess we didn’t tell them we were getting there in time, because there was no volunteering to do on such short notice and we were only in Guanajuato for a short while. But we did have a nice chat with Katie, and we gave her a video camera that our friend Hani had donated before we left the wee blue house. I guess that camera is going to do some good in Guanajuato, so an extra special thanks to Hani for helping out! After breakfast at Katie’s we hit the road. 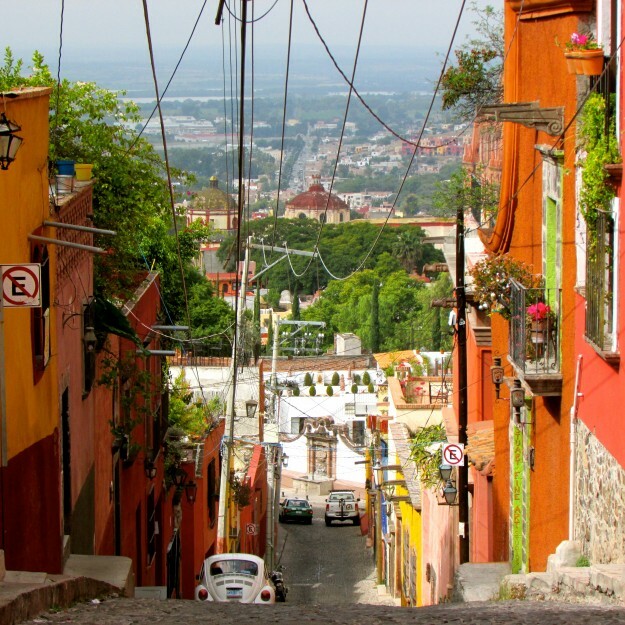 Our destination was a town called San Miguel de Allende, which is in the mountains just like Guanajuato. The drive wasn’t terribly long, which I really appreciated. San Miguel is really old, the streets are very narrow and paved with bumpy stones, so Jason needed help getting inside the gate. I think he scratched the side of the camper a little bit, but thankfully nothing was broken! The San Miguel RV Park & Tennis Courts was really nice, with comfy grass to lay in and a lot of people to say hello to. Unfortunately, most of them didn’t understand My Family that well. Victoria found out they were all from Germany, which is another country far across the ocean. They don’t speak English or Spanish in Germany, which made it a bit difficult for My Family to communicate with them. But we had a great spot to stay, perfect for exploring the city. Our time in San Miguel was good. When Jason was working I got to lay out in the grass, snooze in the sun with Victoria, chase cats and basically take it easy. I did get to go on a few really nice, long walks through the city, and that was pretty cool. 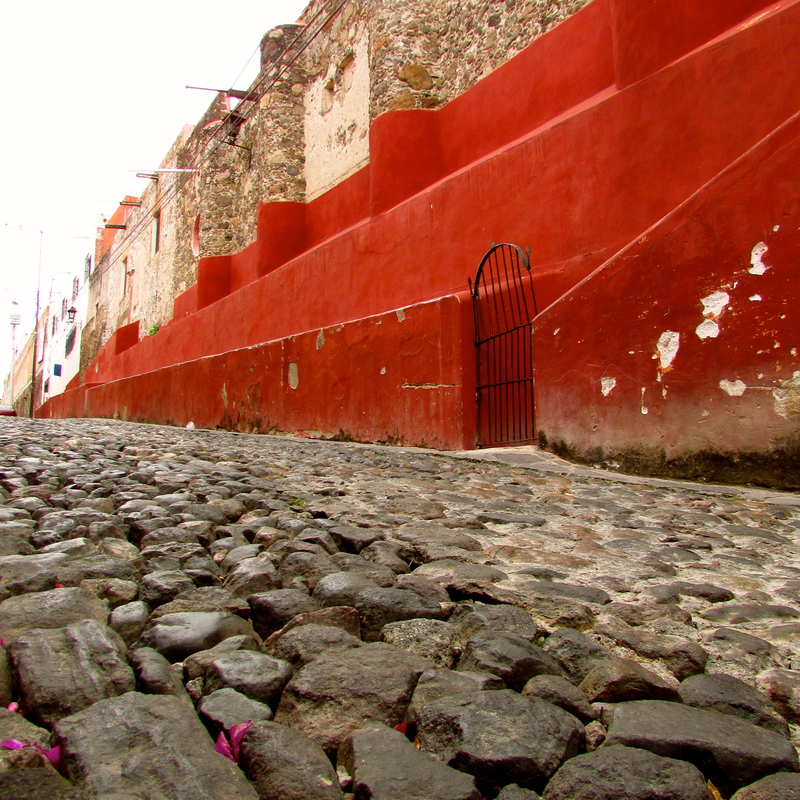 The cobblestones were fun to walk on, and there was always something to see. We met up with a new friend named Robert and his girlfriend Patricia. 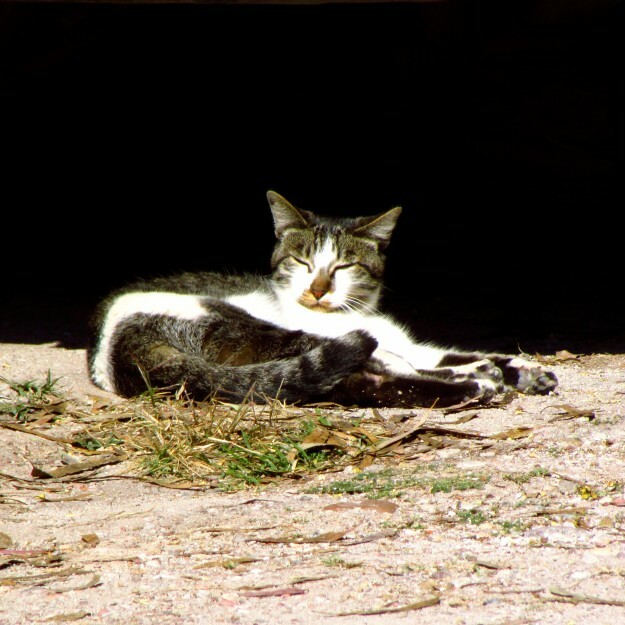 Robert had been doing a trip like our Big Adventure, but once he made it to San Miguel he decided to stay for a while. Jason and Victoria seemed like they might do the same thing. They loved the nice people, the beautiful buildings, the delicious food and the incredible art. Personally, I didn’t see what the big deal was. I spent a lot of time waiting around, standing outside of art galleries, watching them eat delicious food I didn’t get to try and freezing in the cold night air. Oh, and the church bells! There was a church right by our campground, and the bells would ring at all times of the day and night! Victoria joked that she wanted to keep track, because the bells went off at odd hours, like 3:22 or 8:13. Jason didn’t appreciate the 7AM wakeup call, especially because that was when the bells would ring louder and longer than ever. But on the plus side, there was really pretty live music in the streets, and even a concert we got to check out in the main square, or Jardin. There were even huge dancing dolls that would swing their jiggly arms around and shake their hair over kids’ faces. Gato, that means Cat in Spanish. They don’t like playing with dogs, just like American cats. One of the most fun nights we had was Thanksgiving, which is a holiday we celebrate back home where family and friends get together and eat a lot. Obviously, it’s one of my favorites. Victoria and Jason found somewhere that was serving Thanksgiving dinner just like at home, and it was awesome. I got to go to a really fancy restaurant, which is unheard of. There was a beautiful view of one of the town’s big churches, every dish smelled amazing, and from the sounds Victoria and Jason were making I could tell it was good. I got to taste the turkey and we made some new friends, including a nice lady that hugged me and let me kiss her face. Basically a win all around. 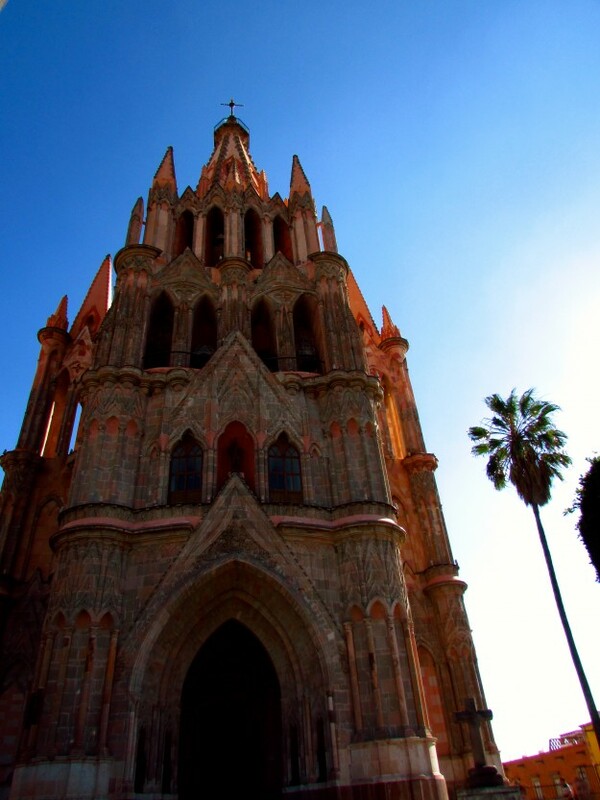 The biggest house in San Miguel de Allende. We spent a lot of time just walking around town while My Family looked at buildings. Fun. 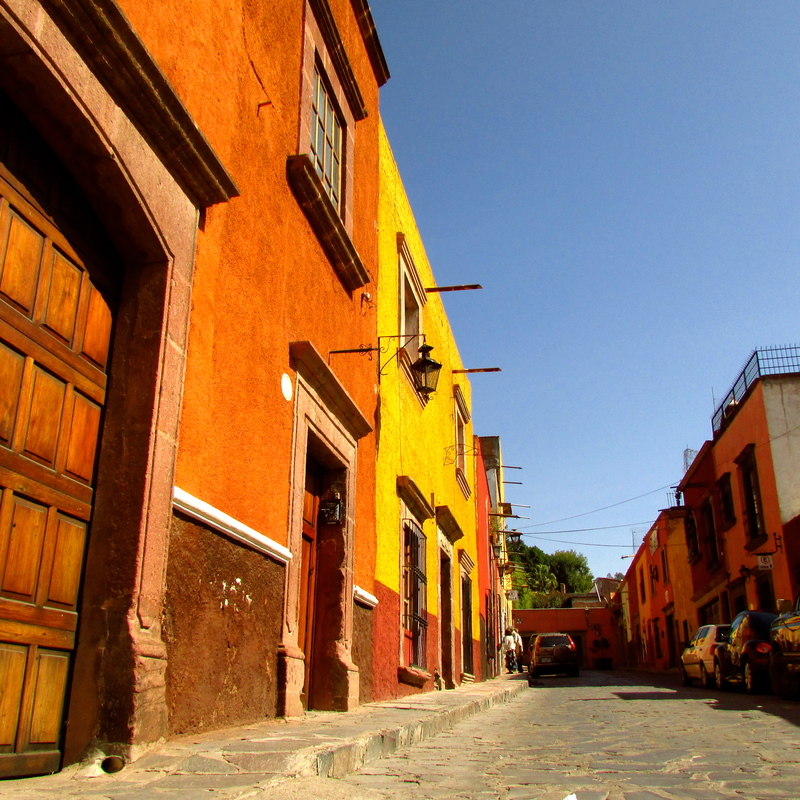 I know that Victoria and Jason really loved San Miguel de Allende; they even said they could picture themselves staying there long term. I hope if that’s the case they get me some extra blankets and share some more of their tasty treats. Sure, I got to try tacos and tamales and even some Chinese food… But no sips of that sweet smelling alote? Not even the smallest bite of chocolate? Maybe I’m doing something wrong? PS: If you want to see the pics My Family took in San Miguel, you can find them here!